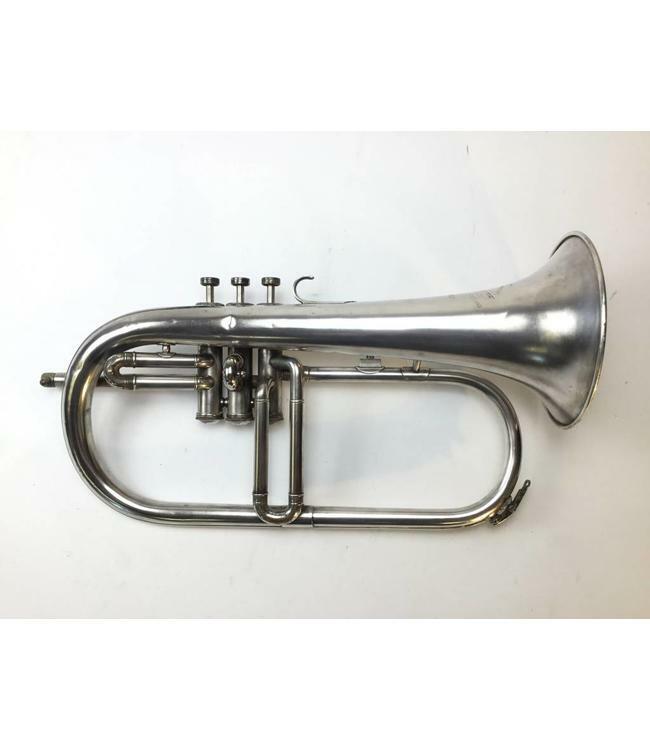 Used Besson (made in England) Bb flugelhorn in silver plate. Instrument is in good condition with surface scratching and minor dings. Leadpipe is worn and accepts Yamaha taper mouthpieces. No case.